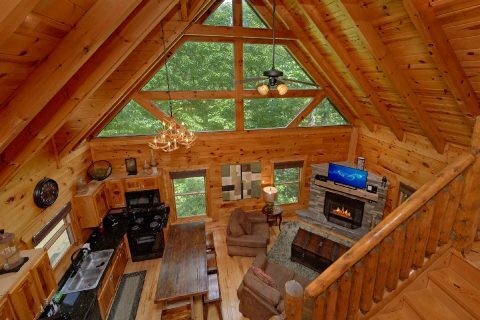 Nestled in the beautiful mountains between Pigeon Forge and Gatlinburg, you'll find this excellent luxury cabin with 3 bedrooms and room for up to 6 guests! 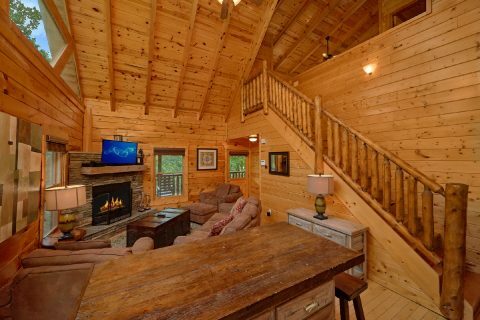 "Bear Pause Cabin" offers vacationers a prime location in the Settler's Ridge Resort area that's only minutes away from the biggest attractions in the Smokies. 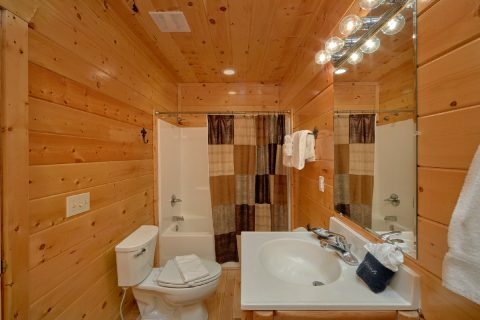 Better yet, this resort gives you access to a seasonal outdoor swimming pool, so you can enjoy relaxing by the poolside during your stay! 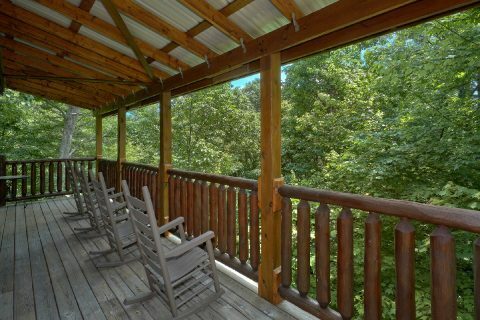 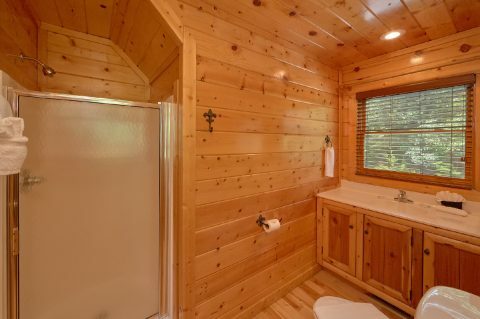 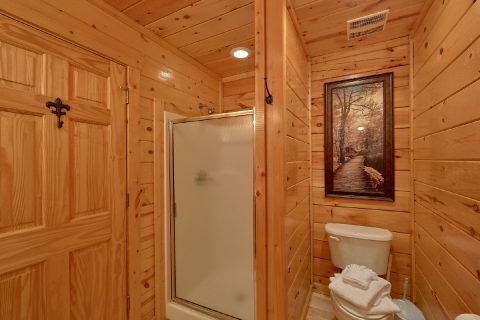 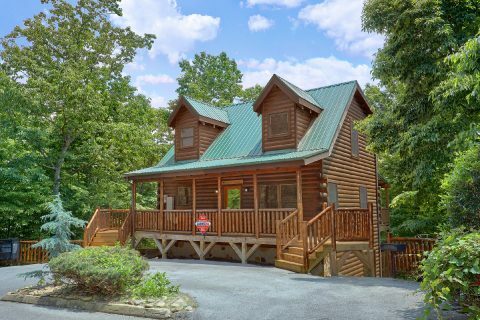 Since this cabin rests only 6.6 miles from Downtown Gatlinburg and only 5.5 miles from Downtown Pigeon Forge, guests of this rental can easily enjoy destinations like Dollywood, The Island, Anakeesta, or the Great Smoky Mountains National Park! 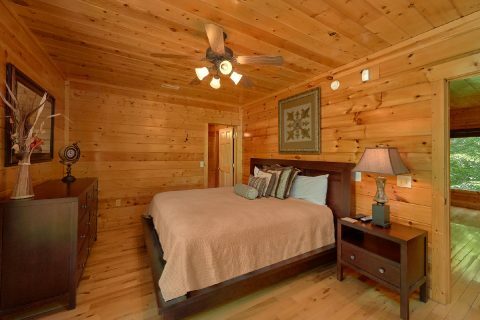 After a great day spent enjoying the lovely scenery of the Smokies, you can look forward to returning to a luxurious cabin that's only a short drive away! 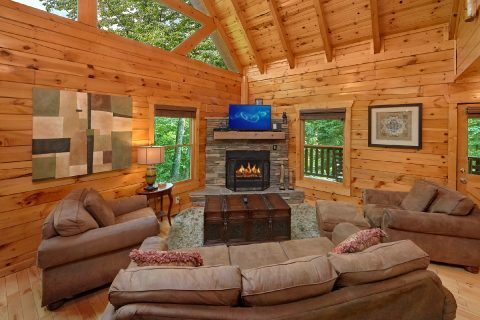 In the spacious living room area, you can unwind by the cozy gas fireplace and television while you spend time with friends and family. 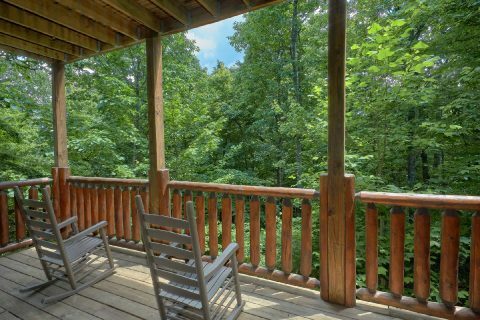 From here, you can step outside to your cabin's deck to get some fresh mountain air and enjoy your rental's forested location. 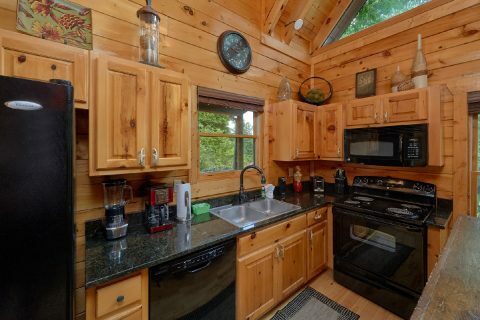 In the stylish kitchen area, you can prepare delicious, cost-saving meals for your family. 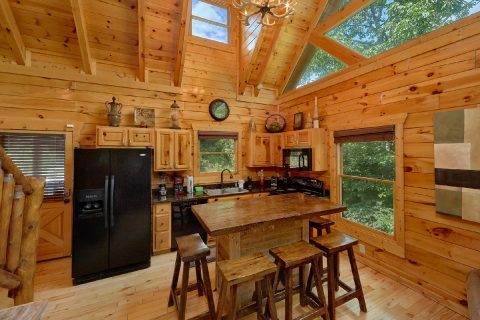 This cabin also provides a charcoal grill if you want to grill in the great outdoors during your stay! 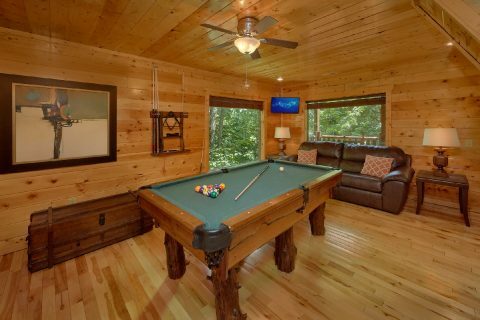 Downstairs in your cabin's game room, you can enjoy some friendly competition on the pool table. 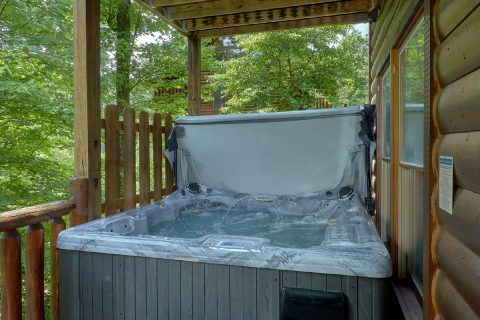 For some real relaxation, just step outside to your cabin's year-round hot tub to rest your weary bones in the warm, jetted waters. 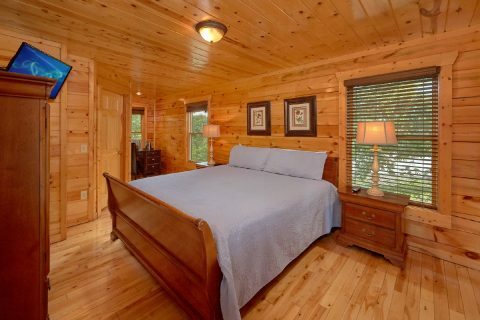 Once you're ready to get some rest, you can look forward to sleeping in one of this cabin's 3 private bedrooms. 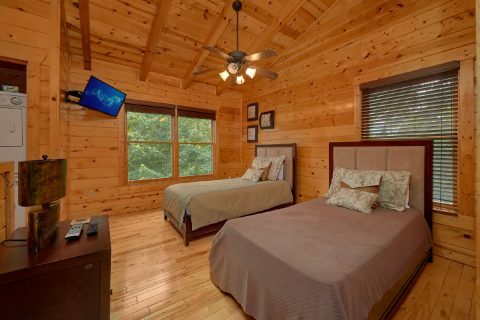 The main level and lower level of this cabin are home to comfortable master suites with king-size beds and private televisions. 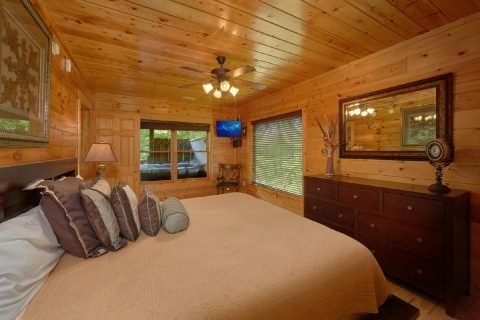 Lastly, the upper level of this cabin has an open bedroom loft with two twin beds and a television. 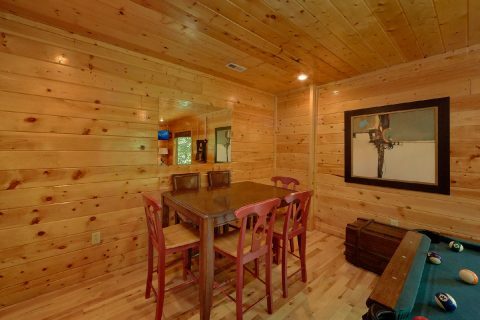 Altogether, "Bear Pause Cabin" can easily accommodate up to 6 guests in comfort. 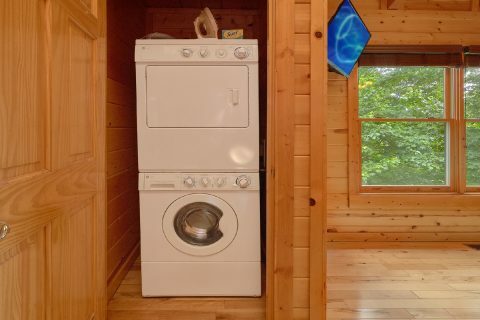 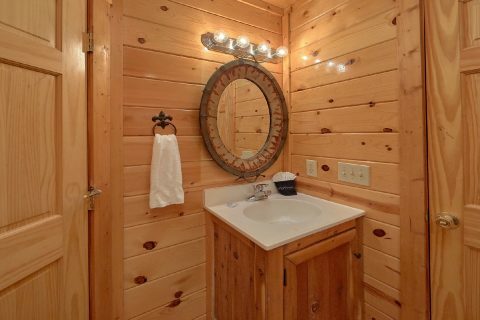 Your cabin also comes complete with WiFi Internet Access and a washer/dryer, so you'll have all the necessities you need during your vacation in the Smokies! 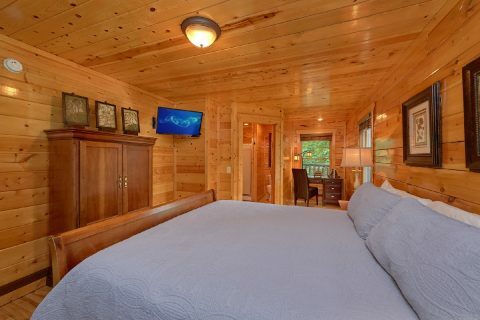 Book this 5-star cabin near Pigeon Forge and Gatlinburg today with Cabins USA and you can save 15% on your nightly rate in the Smokies with our special cabin discount!